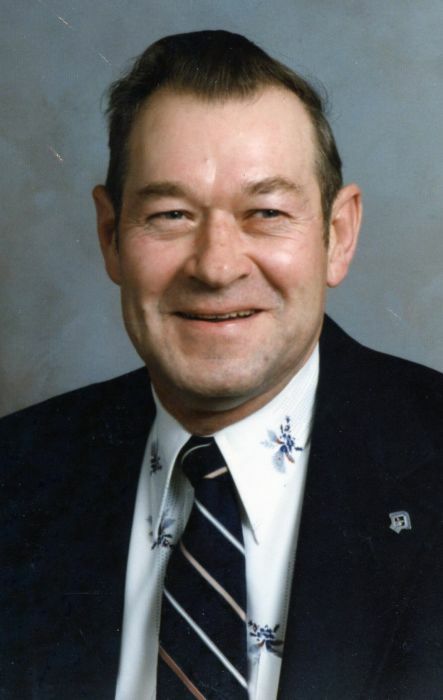 John “Jack” O. Scott, 86, of Auburn, passed away on Monday, Dec. 3, 2018, at Betz Nursing Home in Auburn. He was born May 16, 1932, to Marion and Romaine Scott. John proudly served his country in the U.S. Army and continued as a police officer in Washington, D.C., for 20 years. Returning to Auburn, he enjoyed his retirement by dabbling in many different areas. He enjoyed driving his little red convertible, traveling, playing euchre and poker, going to casinos and wintering in Florida. John had the gift of gab and never met a stranger. He is survived by his loving companion of 30 years, Sandy Brown of Auburn; his beloved son, Mark Jon Scott and his wife, Carol, of New Port Richey, Florida; Mark’s mother Roberta Duff of Indianapolis; four grandchildren; and six great-grandchildren. He is also survived by Sandy’s four children, grandchildren and great-grandchildren. He was preceded in death by his parents; daughter, Teresa Scott Farmer; grandson, Corey; a sister; and three brothers. Services will be 11 a.m. Tuesday, Dec. 11, 2018, at Feller and Clark Funeral Home, 1860 Center St., Auburn. Burial will take place in Woodlawn Cemetery with military honors being conducted by the United States Army and American Legion Post 97 of Auburn. Visitation will be from 3-7 p.m. Monday, Dec. 10, 2018, at the funeral home. Memorials may be directed to the American Legion Post 97 of Auburn or the DeKalb County Humane Shelter.